The ease and availability of high-speed Internet along with a dramatic drop in the price of flat screen TVs has changed the way companies meet. Expensive business trips don’t even have to enter the equation to meet face to face. Now, all it takes is a video system and a display to turn any meeting space into a video meeting space. 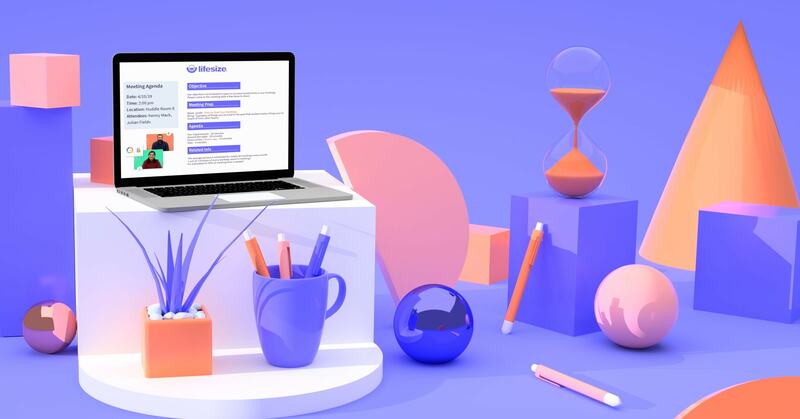 Whether you’re brainstorming concepts for the product roadmap or analyzing data in a sales report, the availability of a display to connect people over video and screen share is critical for your conference room. There are a number of factors to consider when choosing the right display for video conferencing. The size of your conference room, how frequently you’ll be using the system, the quality of the lighting and your budget all play an important role in screen selection. The general rule of thumb is: the bigger the room, the bigger the display. 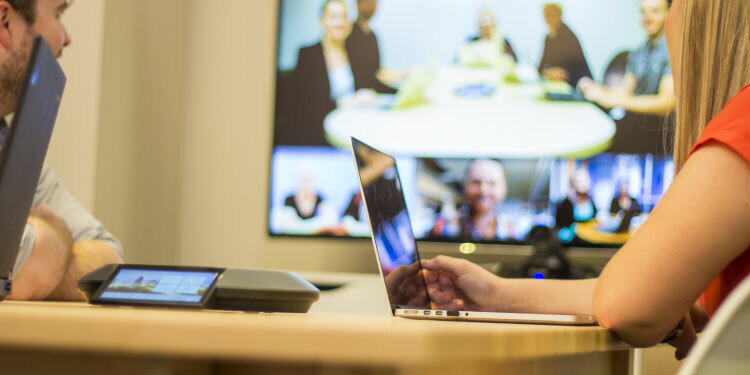 One way to ensure the visibility of the participants on the video call and the data shared in a web conference is to organize your video conferencing system for dual displays. Lifesize® Icon™ video conferencing systems can be configured for dual displays in Preferences > Appearance > Physical Display Arrangements. Options for dual displays include the ability to separate callers from an in-call presentation and mirroring the display when a presentation is not in use. To achieve the closest eye-to-eye feel over a video call, the display should be mounted at or around eye level. Placing the camera just above or just below the display will ensure that as you’re looking at your colleague on the screen, you’re also looking at the camera lens. In our tests, we have found that placing the camera just below the screen, at seated eye level, produces the best results. Quality sound will help enhance the experience of your video calls. Be sure to select a display with built-in speakers or have a separate sound system for the room. This is especially important for large rooms set up with an HD projector. Liquid Crystal Display (LCD). LCD televisions have a number of advantages. They’re light, thin and have a long life span (50,000 hours or more). They offer great picture quality and are available in mammoth sizes of 60” and larger. Additionally, burn-in (in which an image is static on the screen for so long that it becomes permanently etched into it) is uncommon. Light Emitting Diode (LED). LED televisions come in a variety of forms, including direct LED, OLED (organic LED) and edge LED. Unless you are a tech enthusiast, it may be difficult to understand all of the variations of LED, but in general, LED TVs are more power efficient, thinner and capable of a wider color spectrum and higher contrast than other models. We use LED TVs almost exclusively in our office. Front Projection. The main benefit of front projection is size. Most moderately priced projectors will be capable of displaying life-sized and larger-than-life projection onto a 12-foot or larger screen. The trade-offs, in most cases, are that the quality of the picture will suffer as the projection size increases and most projectors do not include an audio tuner—so you’ll need to source sound separately. People no longer buy 720p or even 1080p TVs for their homes. They are buying 4K TVs because they’re the best, they’re future proof and the prices can't be beaten. Similarly, 4K displays give you a future-proof solution for 4K video conferencing and are perfect for anyone who wants the absolute best quality communication for years to come. Every person and every meeting room in your organization can be video-enabled with the best communication tool available. 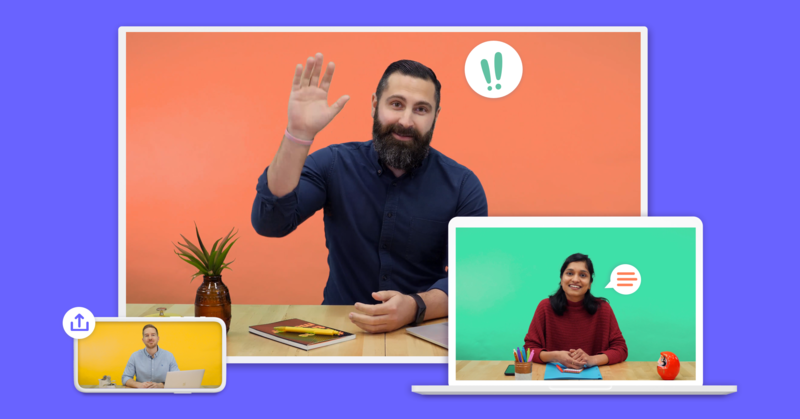 The Lifesize shared directory makes one-click video calling quick and easy. People and rooms can be searched, filtered, favorited and instantly added to an active call. 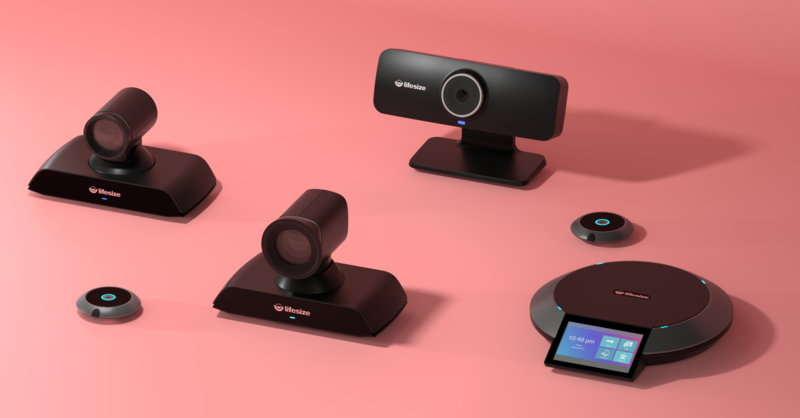 For a full breakdown of the best video conferencing systems for the different sized conference rooms around your office, check out the Lifesize video conferencing solutions page.